Special Thanks should go to Sean. Sean over last year has been the "head honcho" of the club simply by being the one doing the lion's share of the effort. Although there have been others involved we should give a special thanks to Sean who is now handing it over to others to hold the SCSC torch. To Sean, a 21 backfire salute!!! Goals for the year for the club will be to have another great year. To do this we intend on making the SCSC official. This will give us the opportunity to create a SCSC where others get involved in the running of the club. The details of this are yet to be arranged, for now, have a think if you want to be more active and let us (Laura and Paul) know. SCSC Website is now online www.internetscooter.com/scsc.html so check it out. This will be kept up to date, if you want to be up with what’s going on bookmark this page and visit often. Also Paul will be managing an email list to keep you posted. Ku-ring-gai National Park Day Ride is organised for Sunday the 16th. Leaving from the Duke at 12PM, we’ll head North and check out the delights of the Ku-ring-gai National Park, stopping nearby for a bite to eat. Membership Details will be updated at this month’s meeting. Paul will have his notebook handy and will be asking you to make sure he has all your contact details correct (email addresses especially). 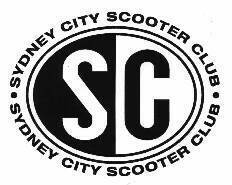 Tassie 2000 is near, there will be a squadron of SCSC members scooting towards Melbourne ~7:30PM Friday Jan 21st, if you are going and want to travel down in company, let Paul or Laura know. If you haven’t booked and want to go, contact Brenton Golding (03 9428 7055) pronto and have $348.00 ready to send him. Next meeting there will be a ride-out before the meeting at 7:30PM. The ride will take us through the new tunnel (the free way) and to a café (which one, we don’t know - suggestions please). Laura and Paul will be in Tassie for this one so we also need a volunteer to run this. Kangaroo Valley will be the first overnight run for the year. Yet to be organised, details will be given out at the next meeting (and on the web). We expect to have it middle to late Feb. There is an excellent scenic drive called the Lyrebird Trail, which is well worth the ride.